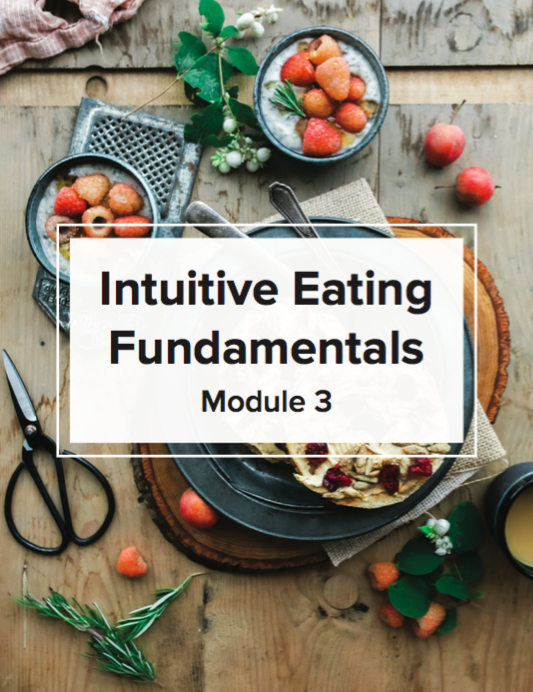 The next principle of intuitive eating is all about listening to your hunger cues—an essential skill that dieting takes away from you. I recommend completing this module over the course of a week, taking some time to review the material a couple of times, and to complete the journal exercises and audio meditation each day. SHARE YOUR QUESTIONS AND THOUGHTS!